Damn! A good man named Mike Lawson has shared not just the existence of a massive, illuminated Reddy sign, but a time-lapse of it being brought back to life. Attached are some pictures of the completed sign. Below is a link to a time lapse presentation of us installing the sign. It is located in the Agricultural and Industrial Museum of York (PA). I hope you enjoy these. 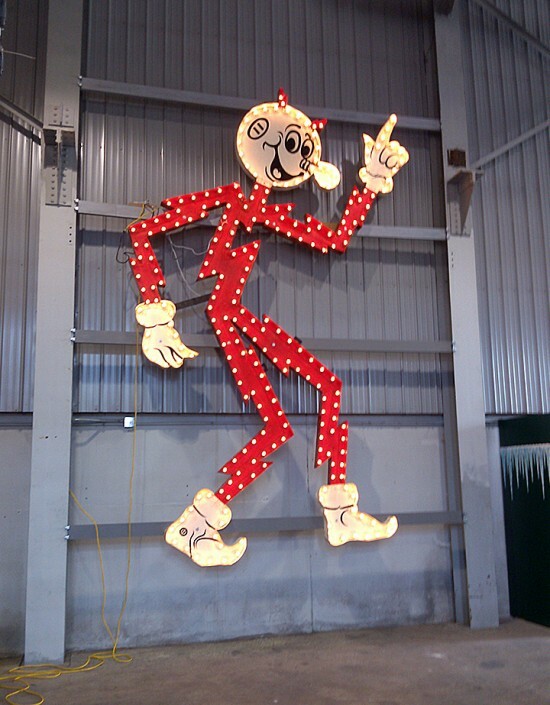 Do you know of any other similar Reddy Kilowatt signs? Could this be the largest one still in existence? Thanks for your reply. That’s many kilowatts of awesome. Any chance you would sell that sign?